Crane Bodies is any type of body that also has a crane attached to it. 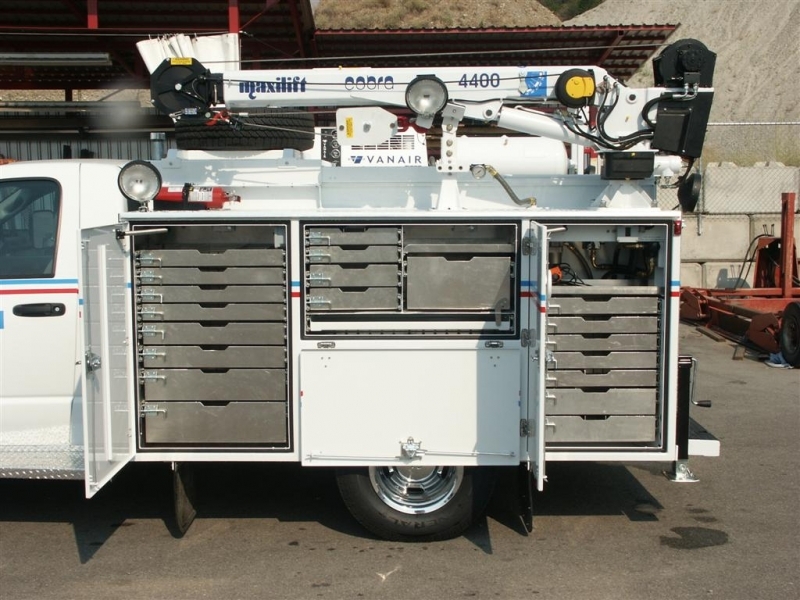 Most commonly, these are service bodies, but they can also be flatbeds. 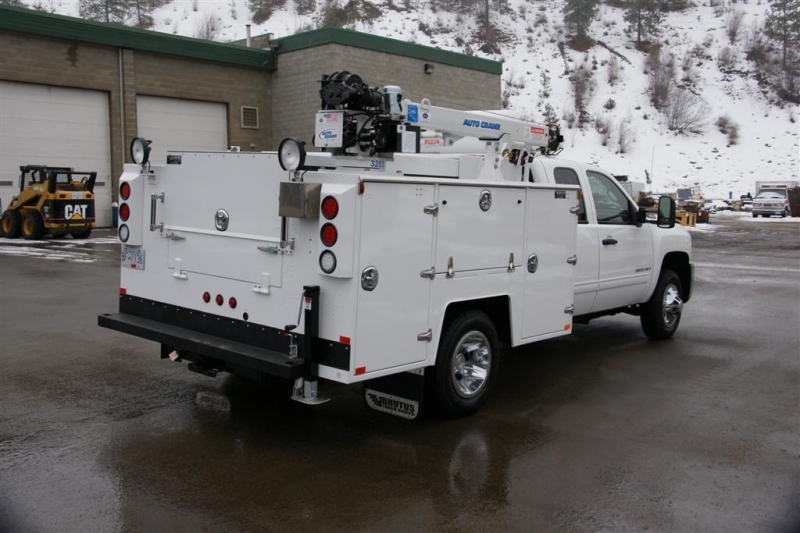 Sometimes they are called Mechanics Trucks, and sometimes they are also called Welder Bodies. A Welder Body is much more difficult to pin down since welders are creative people and like to create their own unique truck bodies that serve their needs. Many of these designs have been copied by body companies and called welder bodies. Typically a welder body is a service body with one or two raised comparments to house their gas bottles. Sometimes they have a cutaway compartment area to house an electric welding machine. Sometimes the welder will also have a crane to make easier repairs out in the field, so the crane body and the welder body are put together here. 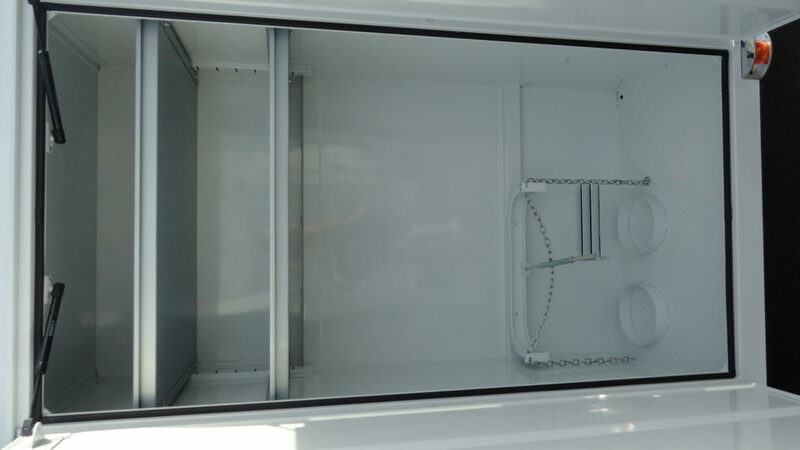 We will show some examples of these bodies below, but keep in mind that we can customize them to suit most needs. 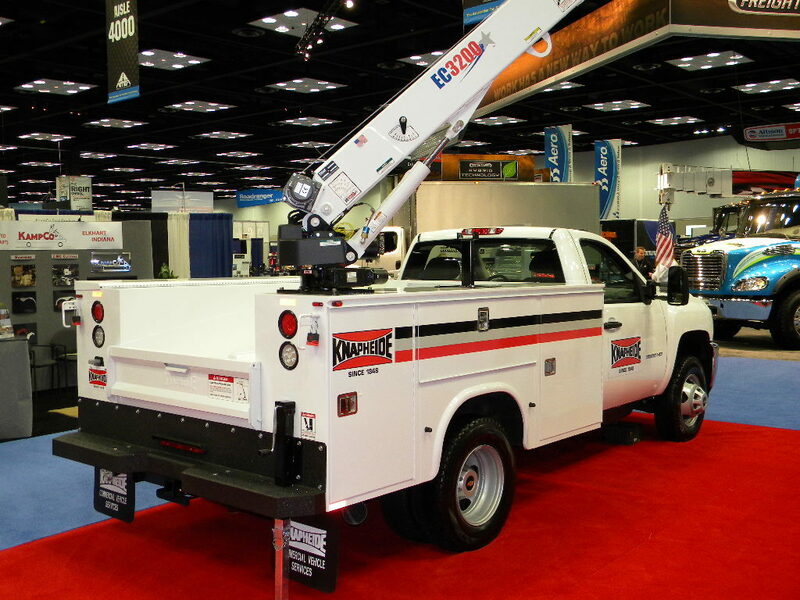 When it comes to crane bodies, capacity is everything, so they have a wide range of capacities. 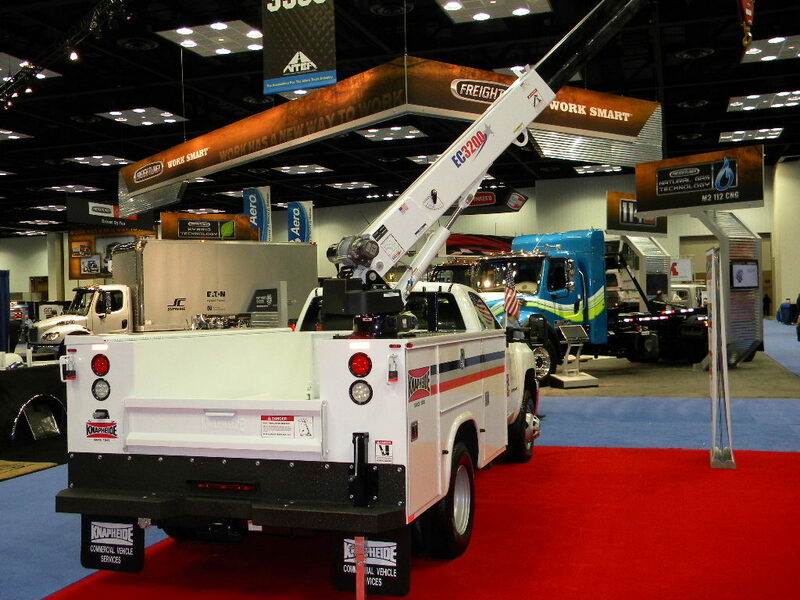 The 3,000-3,500 lb crane is probably the most popular size. The other thing to keep in mind about cranes is that they are most like your own arm relative to your body. So the first two questions we ask is, 1. How much is the maximum weight you will want to lift? and 2. How far away from the body did you need to lift it from? So, just like your arm, you can pick up heavy things close to you, but if your arm is extended, you can only pickup a fraction of that amount. The crane is exactly the same way. So, for example, with a 3,000 lb crane, it will pick up 3,000 lbs right next to the body, but at the maximum extension of the boom of about 15′, it can only pick up about 500 lbs. Just think of your arm and it will make the most sense.